Organizations with strong learning, talent and workforce management processes drive business results, according to findings gathered from Skillsoft’s & SumTotal’s 6,700 customers and 45 million employees. They generate more revenue, greater employee engagement, reduced staff turnover, higher customer retention…the list goes on. Maturing your learning, talent and workforce strategy is a business imperative. Before you can determine how to improve, you need to understand your organization’s current state. Our 5-stage benchmarking framework can help you assess your current stage of maturity and develop a plan to advance to the next level. Brent Colescott is the Sr. Director of Business Strategy and Transformation for SumTotal, A Skillsoft Company. With over 20 years experience in the learning and talent fields, he has successfully initiated and optimized online learning platforms and programs during his career in the HR, Utilities and Energy industries. Notable accomplishments include being recognized by WebEx as their “Innovator of the Year” in 2005 and by Skillsoft as the “2007 Learning Leader of the Year.” Brent holds a Master of Education in Administration and Technology and is a former Chairman and Executive Board Member of the Humble Independent School District Education Foundation. Edward Wilson, Ph.D., currently serves as a Value Engineer for Skillsoft. 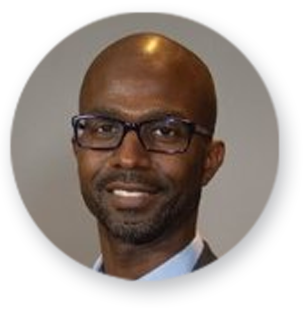 He has knowledge of a wide range of talent management strategies and tactics based on 13+ years of strategic and operational leadership experience, which also includes teaching at the university level and within the corporate environment. While serving as a strategic HR director, Dr. Wilson designed and executed numerous HR initiatives, and has spent the last 2+ years advising various organizations on talent management strategies and software investments.